5th annual! First project is half square triangles. This is the first sewing part. 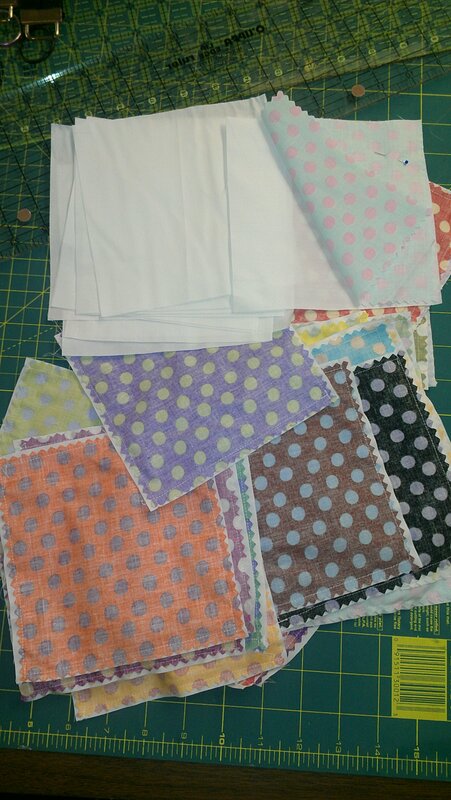 The dotted squares are placed right sides together with the white squares and sewn on all four sides. Next step will be posted soon!